Wash and dry the rocket well and place it in a fairly large dish. Slice the buffalo mozzarella and place it on the rocket. 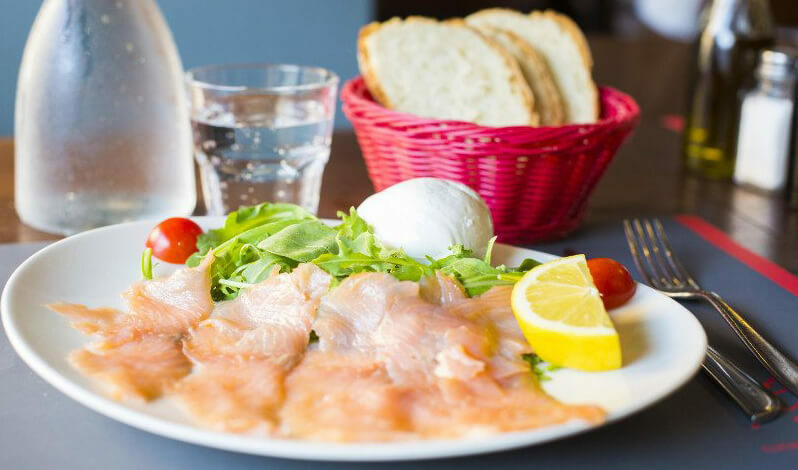 Arrange some slices of smoked salmon on the plate. Wash some cherry tomatoes, cut in half and season with extra virgin olive oil, salt and pepper. Garnish the plate with the tomatoes and serve. According to your tastes, you can flavor the salmon with a splash of lemon or balsamic vinegar, but without exaggerating, so as not to over-cover the taste of the dish.